We have published the report in full here on this website. Using the menu you can navigate through the pages to read the report. We have also made it available for download. The Whitley Researchers is a partnership between the Whitley Community Development Association, local residents and the University of Reading to engage and involve communities in conducting their own research. We believe that communities should devise their own solutions to local issues as knowledge generation is located at community level and not just in an academic or policy domain. Top down assumptions about local communities, particularly those most disadvantaged, often miss the more relevant issues that impact on residents. 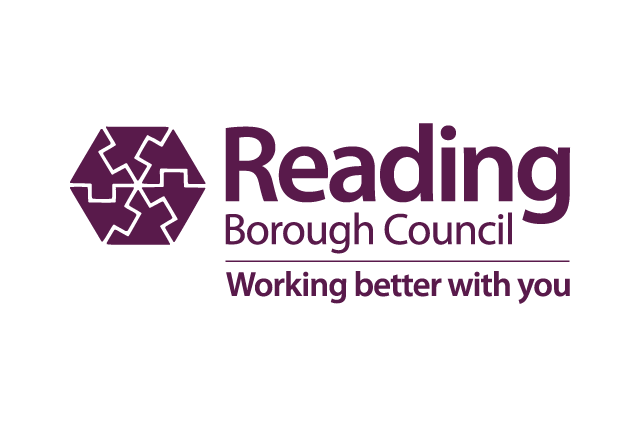 We are currently participating in the Whitley for Real initiative (W4R), which is being co-developed by Reading Borough Council (RBC) and Reading University, in partnership with the community and other stakeholders, to access this ‘local voice’ in South Reading. The aim is to influence both current and planned activities in the area, so that resources can be targeted more effectively, ultimately helping to enhance family lives and reduce deprivation. As part of the W4R programme, a piece of academic research was commissioned by Reading Borough Council’s Decent Neighbourhoods Fund (DNF) which focuses on young people’s aspirations and the school/family relationship. One of our ambitions for this project has been to co-produce a participatory research project with young people, schools and parents that engages local people in a multi-method research programme that seeks to explore, understand and share the attitudes, experiences and feelings held around youth aspirations and transitions to work, further education and future lives. Our most exciting initiative has been the development of an award winning1 ‘young Whitley Researchers’ team at John Madejski Academy (JMA) who have created their own methods, including an ‘aspiration game’, to explore issues around aspirations and future lives with their peers. Community research is also an exercise in partnership and communications – it enhances the sharing of knowledge across and beyond local communities. Through this research we hope to empower local residents and communities in South Reading to co-create and manage the research design, undertake analysis and identify recommendations in collaboration with the schools, RBC and other partners. This report reflects on what we have learned on our research journey to date and it synthesizes the findings of a number of interrelated research activities that the Whitley Researchers and partners have undertaken from May 2017 to July 2018 as part of the W4R and DNF research journey. It presents the genesis of the project and its aims and objectives including a narrative of key developments and results. The research programme has several components united in a common theme – improving relations between young people, schools, family and community to support aspiration and learning. It completes with a set of recommendations that will inform the next stage of the W4R programme, starting in September 2018 that will act on what we have learnt together in order to better support young people’s life chances in South Reading. Laura Ellener (Head), staff and students at the John Madejski Academy, particularly the amazing team of ‘young researchers’ and their art teacher, Mr Paul Allen. Staff and students at Reading Girls School, particularly Kate Thomson. The Palmer Academy’s School Council and their teacher, Mr Rob Bruce. Reading Borough Council for funding the ‘Decent Neighbourhoods’ Fund’ (DNF) research into youth aspirations and parent-school relationships, and for their project management and ongoing support. Particular thanks to Chris Bloomfield, Jill Marston, Ebony George and Tom Martin. Study Higher for funding the continued development and activities of the Young Whitley Researchers, with special thanks for Clare Ridley, Asim Mahmood, David Dobraszczyk, Lucinda Morton and Phil Jemmett. Affinity Housing and Wates Construction for funding the implementation stage of the DNF project. The Whitley for Real Steering Group. Individuals and organisations that participated in the Stakeholder research (see report). Whitley Excellence Cluster (WEC) primary schools and Sheila Tibbenham, Charlie Clare and Aspire2. Barry Wren and New Directions. Sue Brackley, Reading UKCIC, and Bewley Homes for funding and supporting the Home Build event at JMA (see report). South Reading Councillors’ Action Group led by the Leader of the Council. Whitley Community Development Association (WCDA) for funding and supporting the Whitley Researchers initiative, particularly Trisha Bennett and Mo McSevney. University UROP Interns and volunteers for their considerable research efforts: Bethany Brown, Hayley Ryall, Abbie Becker, Harriett Hemmings, Olivia Cheer, Georgia Ward and Elisha Russell with particular thanks to Abi Brown for her contributions to writing Chapter 2 and designing all the graphics/figures. University of Reading for funding and supporting the Whitley Researchers initiative and events, particularly James Aitken, Chris Bellis, Pete Bryant, Pete Castle, Caroline Cross, Ruth Evans, Hilary Geoghegan, Shweta Ghosh, Caroline Knowles, Daniel Mitchell, Sam Poskitt, Kevin White and the Participation Lab. A team of dedicated Whitley Researchers, past and present, with particular thanks to Lorna Zischka for data analysis and crafting our reports, and John Ord for project management: Carla Allamby, Liz Ashcroft, Aneta Banas, Rachel Churchard, Sandra Clare, Katherine Cooke, Sonia Duval, Naomi Lee, Sally Lloyd-Evans, Mo McSevney, Natalie Merritt, John Ord, Julia Spence, Lorna Zischka. Whitley Researchers: Liz Ashcroft, Aneta Banas, Rachel Churchard, Sandra Clare, Sonia Duval, Naomi Lee, Sally Lloyd-Evans, Mo McSevney, Natalie Merritt, Julia Spence, John Ord, Lorna Zischka. © 2019 ASPIRATION IN WHITLEY Whitley Community Development Association.